Have you found an online vendor selling Rougaroux Sugarshine? 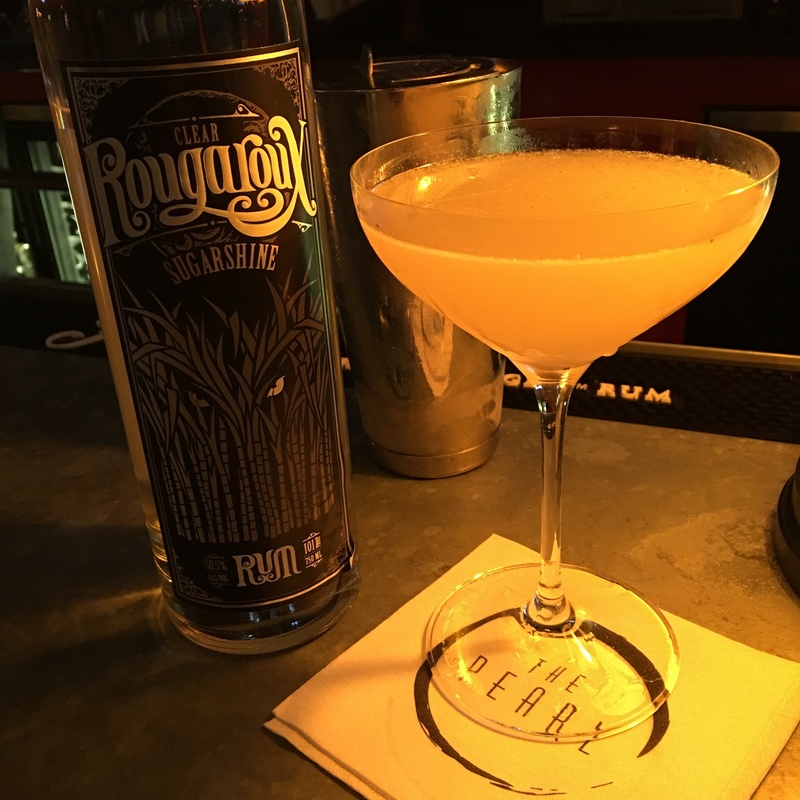 After hearing about this rum during Tales of The Cocktail, I had a hand shaken daiquiri at Cure....amazing and I asked the bartender if I could sample the Rougaroux Sugarshine Rum neat. What a fantastic rum! This is my go to rum for daiquiris, mojitos etc. And I just learned that this is a double gold medal winner at San Francisco Spirits! I had this rum at The Pearl Hotel in Florida, at Rosemary Beach. Cocktail was a handshaken banana daiquiri called the Fredo Corleone. The rum stands out in the cocktail and is perfect in what a rum should be. It's strong...and delicious. You can smell it's strength right when you take out the cork...but I've had tons of friends try this...all say it's the best hands down. Get yourself down to Louisiana and try some of this perfection. It is a bit pricey, but not over the top $. At first I assumed this was the distillery's white rum. 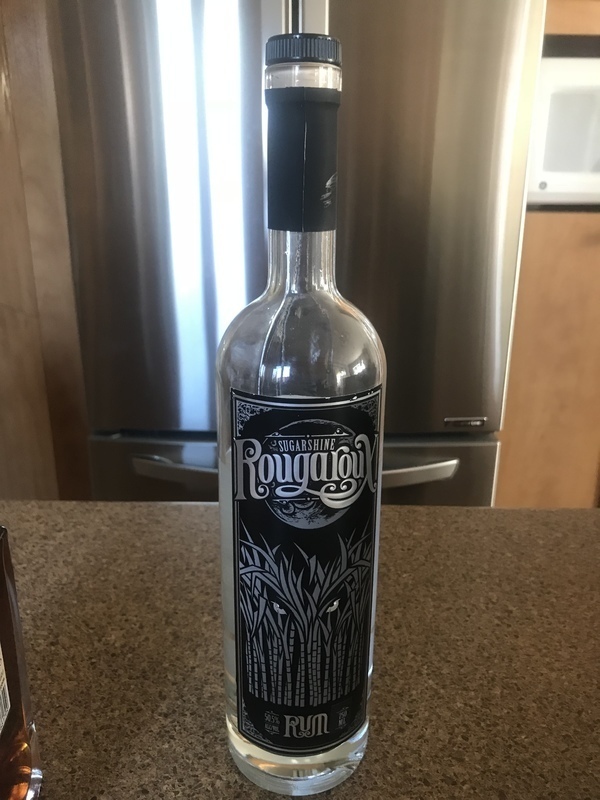 Then I saw that it was 101 proof (50.5% ABV) so I realized it was going to have a bit more "kick" to it than the typical 80 proof rum. Well...perhaps not so clever. From the Donner-Peltier Distillers' website: "Our clear rum is not your grandmother's clear rum! We purposely decided to deviate from conventional wisdom and produce a 'Rum Moonshine' - hot, bold, massive, with enough punch to sear right through you. And that's what Sugarshine does." It definitely isn't the highest overproof rum out there and it didn't sear right through me (thank goodness) but it is arguably one of the tastiest overproofs I've tried. The aroma has some sugar cane to it but the 101 proof produces a clear alcohol aroma that is very noticeable. That's not a negative just what it is. The liquid is crystal clear and clings a bit to the glass when swirled in the snifter. The flavor is crisp, clean, and clearly sugar cane sweet goodness followed by a burn (after all, folks, it IS 101 proof) but surprisingly not a harsh burn at all. It fades after a bit leaving a bit of cane flavor. I'm not sure if they age it at all in oak barrels but it does seem there is a hint of oak in the aftertaste. This will be the first time I've written this but this overproof would make a fairly good sipping rum albeit one that can kick your behind if you ain't careful. Also the flavor lends itself to mixed drinks calling for an overproof rum. Finally, this works quite well in Coke Zero for me but about 1.5 to 2 oz total as opposed to my normal 3oz to a 16.9oz bottle of Coke Zero. Definitely a recommendable rum. Gotta get the word out and get more interest across the globe. There's a sweetness to it, but not overpowering. The alcohol burn is not as bad as I expected from a 101 proof rum. This is a frequent purchase on my list (when I get to New Orleans). En partant je ne suis pas amateur des blancs, mais je l aime bien. Il goûte beaucoup l alcool avec son 50%. Il est difficile à d écrire, mais je dirais qu’il goûte le sucre, la vanille le coconut. Good mixer. Great taste. I've enjoyed quite a few bottles. Tastes like rum that came from a local distillery that makes other spirits. And it is. Not undrinkable, but I gave my bottle away. Do yourself a favor, ask for it, find it, and drink this overproof rum from Louisiana! !